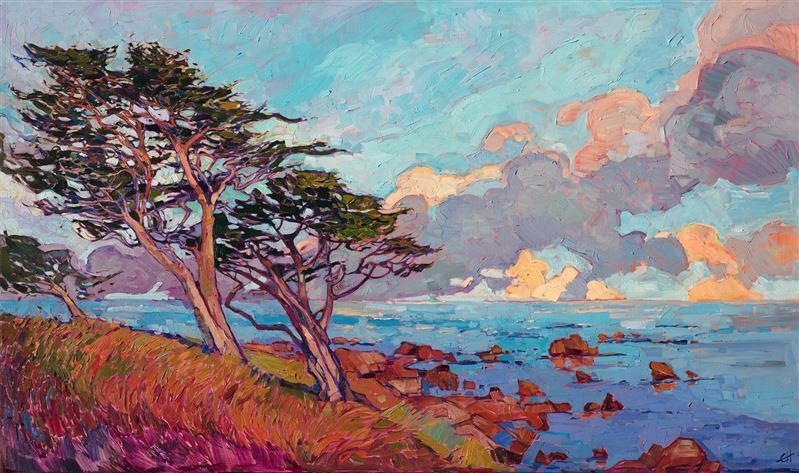 From La Jolla to Monterey, Erin Hanson has for many years traveled the diverse and spectacular California coast for inspiration for new paintings. The coast offers Hanson a sense of calm tranquility and neverending possibility. In this new collection you can expect, as ever, for Hanson to pull from her unique view of nature and her early dawn explorations to tell a story not yet seen on canvas of our beautiful Coastal California. Hanson's unique impressionistic retelling of beloved landscapes has garnered a large international following and hundreds of collectors worldwide. This is a rare opportunity to see a collection of her oceanscapes all in one exhibition. Join us for live music, wine and refreshments. Just off Miramar Blvd and the 15 Freeway.